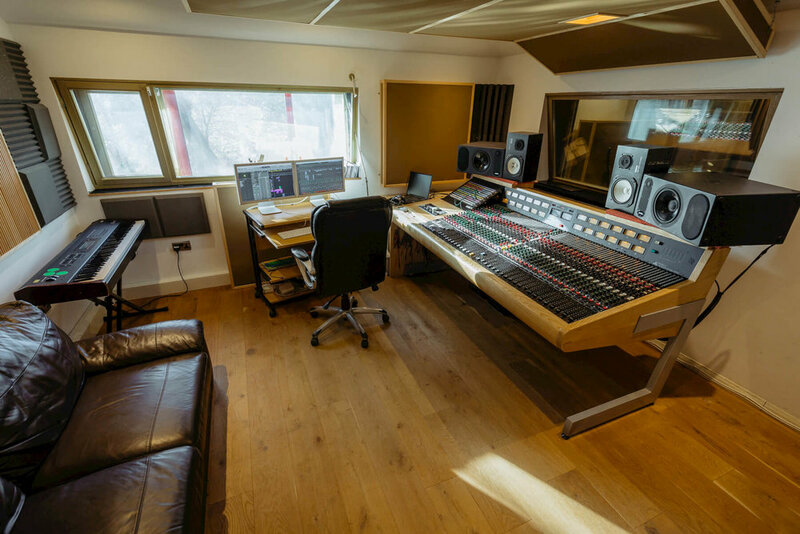 Evolution Studios is a 1,000 sq foot recording, tracking, mixing and production facility based in central Oxford. At its heart is a beautifully refurbished and fantastic sounding Trident 80B console. The studio is also fully ISDN and Source Connect Pro equipped. 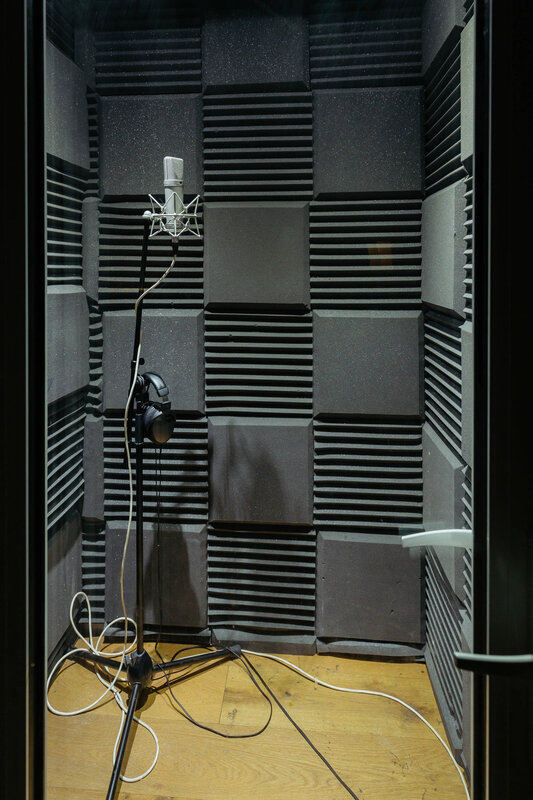 We specialise in music recording as well as TV and film voice work. Since opening in 2012 we’ve worked with a diverse range of bands and actors including Frank Turner, Philip Selway, Charlie Cunningham, RY X, Fixers, Sir Ben Kingsley, Harry Shearer, Emilia Clarke and Alexander Armstrong, amongst many others. We regularly work with clients such as the BBC, ITV, Red Bull Media and 20th Century Fox. Many our recent projects have been in surround sound. A great sounding spacious control room with beautiful views and natural light, featuring three computer screens. 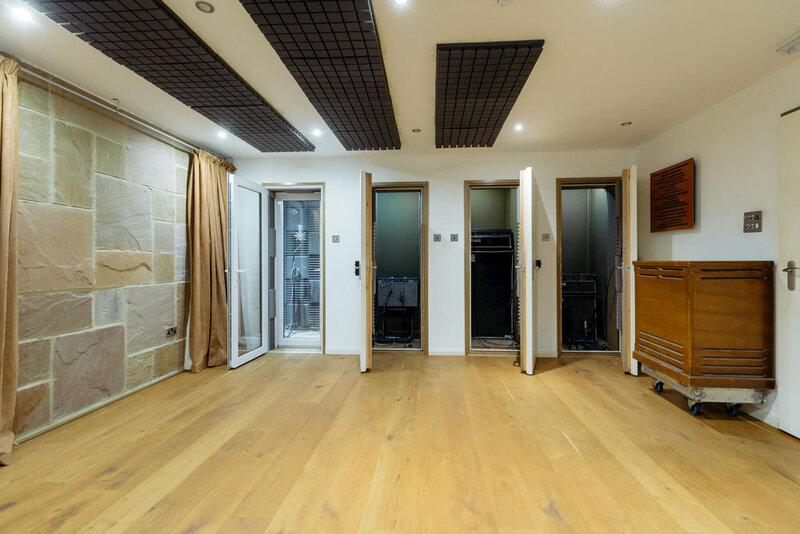 Live rooms and four separation / vocal booths with oak floors, acoustically controllable with baffles and an Indian sandstone wall. 3 ISDN lines with a Mayah Centurai Codec and chase to timecode facilities. Voice Overs and voice to picture. SouRCE-CONNECT PRO and iPDTL. Front-end including mic preamps, compressors and FX from Universal Audio, SSL, TL Audio, 1960’s BBC, Lexicon, TC Electronic, etc. Great mic locker featuring Neumann, Sennheiser, Rode, Beyer, Shure, etc. Powerful 8-core Mac Pro running the latest versions of Pro Tools and Logic with UAD 2 plug-ins amongst others. Fantastic selection of backline available including Hammond A100 with Leslie Rotary Speaker, Fender Rhodes 73 Stage Piano, 1979 Stratocaster, Ampeg SVT Classic with 8x10 Cab, plus loads more! Check the Equipment page for full details. Large chill out room and kitchenette with 47 inch HD TV and Hi-Fi System. Only a few minutes from Oxford Station. Less than an hour travel by train from London. Experienced Engineers, Session musicians and Producers in-house.